Online password manager for teams. Securely store, share, and manage your passwords from anywhere with Zoho Vault. Securely store all your passwords and organize them for easy access and management. Passwords are encrypted with the strongest encryption standard (AES-256). Safely share common passwords among members of your work group by granting different access privileges. Directly connect to websites and applications without having to manually enter login credentials. Easily provide passwords to users and groups in bulk. Instantly deny access when a user is removed. Track user actions and maintain complete records of team members' password activity with timestamps. With in-depth reports, keep track of which users have access to various passwords. Integrate with your identity provider and cloud apps. Zoho Vault readily integrates with the most popular directories and productivity suites for easy onboarding. We offer out-of-the-box single sign-on support for popular cloud apps. 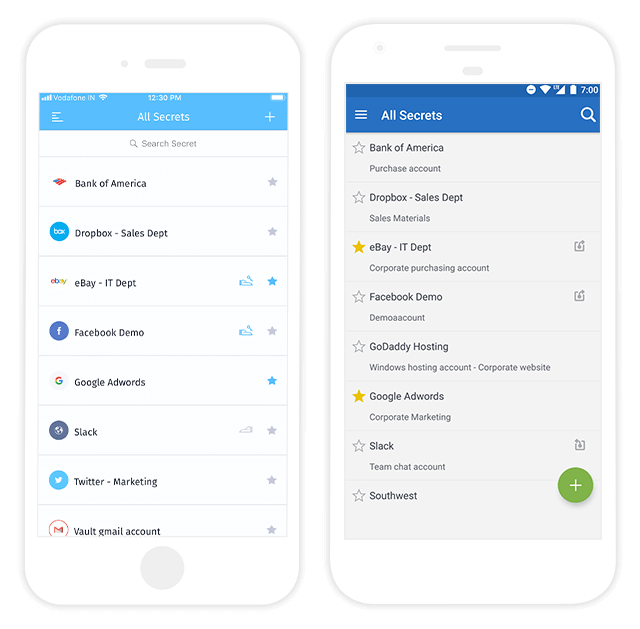 "Zoho Vault is one of the best Password Managers for Enterprise users that helps your team share passwords and other sensitive information fast and securely while monitoring each user's usage." 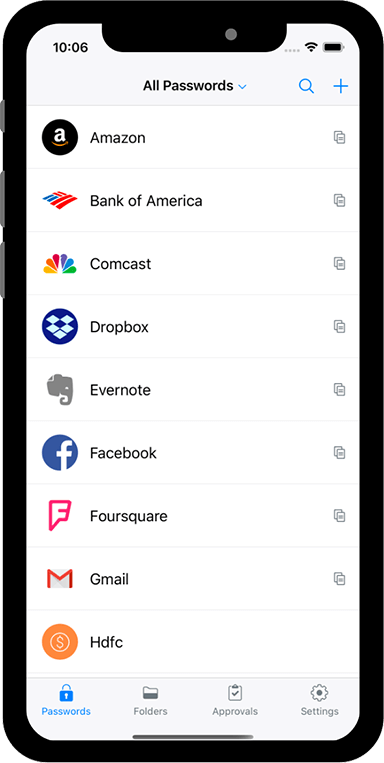 "There aren't many password managers available that offer the power you'll find in Zoho Vault. If your organization needs to share passwords with teams, you cannot go wrong with this powerhouse manager." 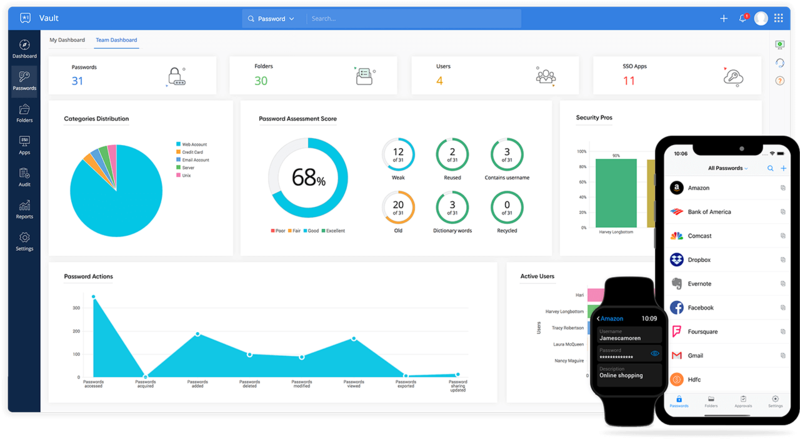 "We like how Zoho Vault lives in the space between consumer password managers and high-end enterprise-level SSO federated login systems." Download our mobile apps and browser extensions to manage passwords from anywhere - at work, at home and on the move. Rock-solid security and complete privacy.